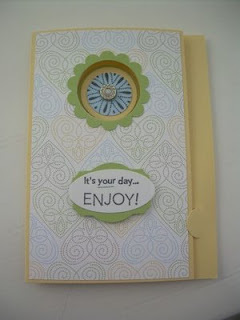 The card pictured is a tri-fold card using the SAB paper, and stamp set. Also, several punches were used for the birthday and the circle scallop. There are three weeks left to benefit from the FREE merchandise that only happens once a year. Sale-A-Bration ends March 31st.